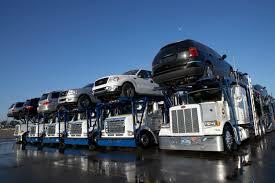 Portland Auto Transport offers an array of helpful Auto Shipping services. With our years in the business, we’ve become one of the most trusted and well-regarded transport businesses around. We’re eager and willing to help ship your vehicle where ever it needs to go in the U.S. This even includes Hawaii and Alaska. Not only that but we’re famous for shipping our cars safely and on time. Whether it’s for an individual or a business, Portland Auto Transport ships all variety of vehicles. Plus, we’ll ship it regardless of its condition to anywhere in the US. And, we offer two distinctive methods of shipping! This is both the cheapest and most common form of car transport service. With this style of shipping, your car is simply loaded onto a carrier along with other cars and shipped to its destination. No doubt, you’ve seen these traveling on highways. Usual there are several cars on each truck. Open Car Transport is a very safe and secure way to ship your car. However, it will be exposed to the elements along its journey. This includes dust, weather, and random road debris. With Enclosed Car Transport, we ship your vehicle in an enclosed trailer. This method offers a more secure way to transfer your car to a new location. It eliminates the threat of weather, dust, and road debris. Generally, people choose this transport service when they’re shipping an exotic car and want to guarantee the absolute best care. Of course, this costs a bit more. Portland Auto Transport is happy to supply you with our first class car shipping services. Contact us today and we’ll get you started!